Ferrari swore it would never build an SUV, but in the automotive market, that’s a ridiculous problem to make for itself. So Ferrari’s solution is to make an SUV anyway and just not call it one—like any rational, mature automaker would do. Ferrari will build an SUV, apparently codenamed the F16X and said to be based on the GTC4Lusso, but it’s going to call it an ‘FUV’ instead of an SUV, according to industry analyst Max Warburton via Autocar. That’s ‘Ferrari Utility Vehicle’. You kidding me? First of all, Ferrari, SUVs masquerading as “coupes” is almost the industry standard for normal SUVs these days. Those don’t fool anyone, and yours probably wont fool anyone. And we all know that competition like the Bentley Bentayga, Range Rover Sport, Porsche Cayenne, upcoming Aston Martin DBX and the Lamborghini Urus are basically necessary nowadays so automakers can continue to bankroll ridiculous hypercars. 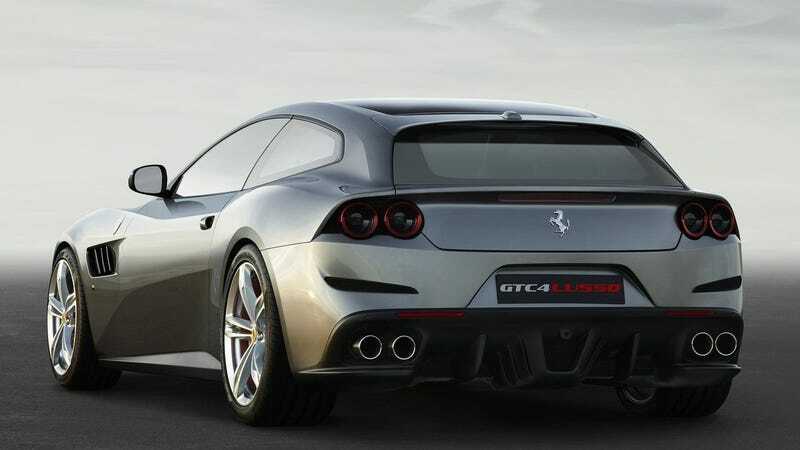 Ferrari Might Be Building A Crossover, Maybe, I Guess, Reportedly?